คุณภาพเดียวกันกับดับเบิลฮอร์นรุ่นธรรมดา , สต๊อปวาล์วสามารถป้องกันเซอร์ไพรซ์ที่ไม่พึงประสงค์ , สต๊อปวาล์วเป็นตัวเลือกที่สวยงาม , เพราะความเที่ยงตรงแม่นยำของวาล์วทำให้ไม่มีข้อบกพร่องทางอคูสติกที่จับสังเกตุได้ เมื่อเทียบกับดับเบิลฮอร์นที่ไม่มีสต๊อปวาล์ว , หนึ่งหรือสองวอเตอร์คีย์เป็นอันที่แนะนำ , น้ำหนัก 2.35 กก. 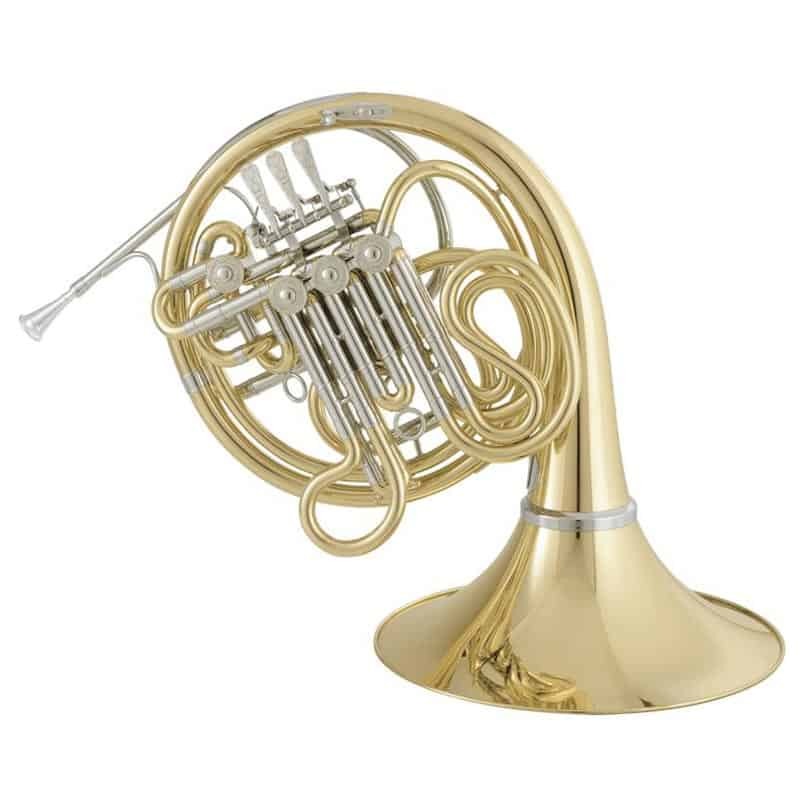 Same qualities as the normal double horn. 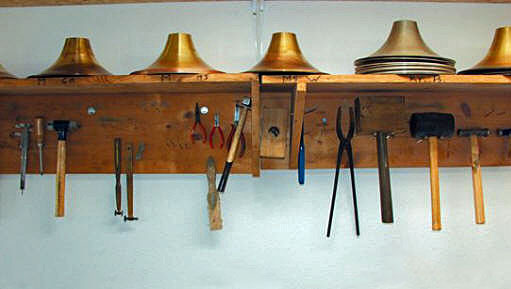 The stopping valve can prevent unpleasant surprises, especially in everyday opera life. Despite the stopping valve it is very beautiful optically. 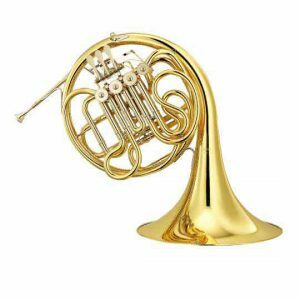 Because of the exactness of the valves there is no noticeable acoustical disadvantage compared to the double horn without stopping valve. One or two water keys recommended. 2.350g. 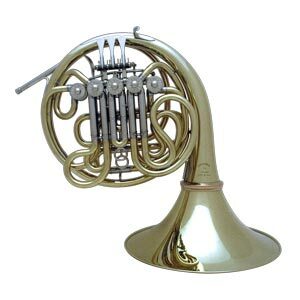 Appreciate the aesthetics of the nickel-silver ring, and of the whole horn. 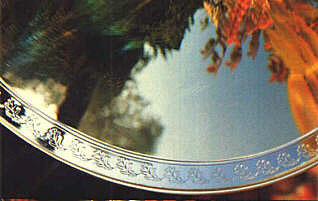 With its 100g, this nickel-silver ring has jusc i/i of the normal weight and doesn’t deaden the sound. It is an interesting Option for someone looking for a little more weight and resistance. 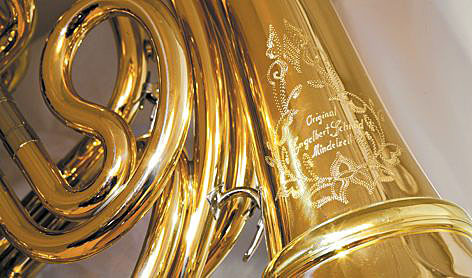 He does all the engraving himself, by hand, so you can say each horn bears his own personal signature. 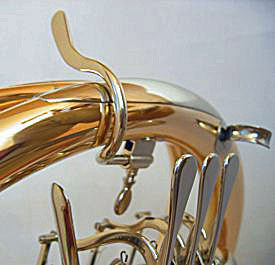 Study the artistic three dimensional bends on an Engelbert Schmid horn, all done by hand. 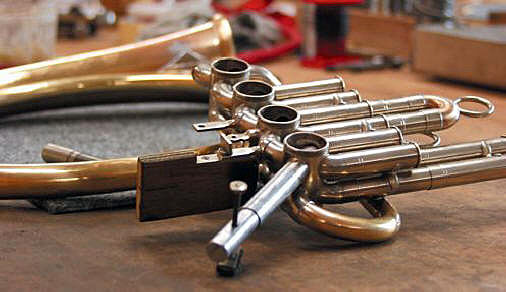 In the production of Engelbert Schmid horns you will only find craftsmen with the greatest skill and sensivity , the cream of German craftmanship. Each one strives to improve his part in the production with new ideas and devices. 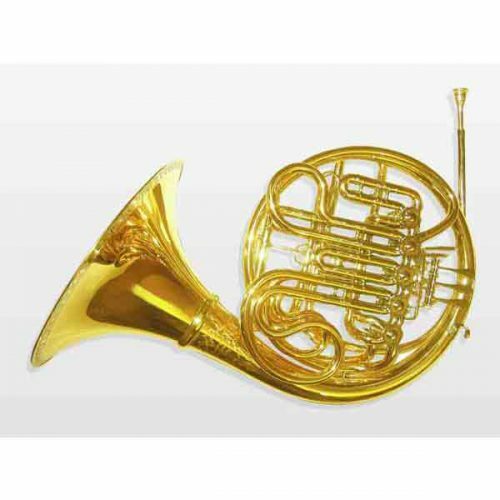 Of course you can order those flipper and finger hook models, which are functional and popular but don´t look like belonging to aesthetical horn making. 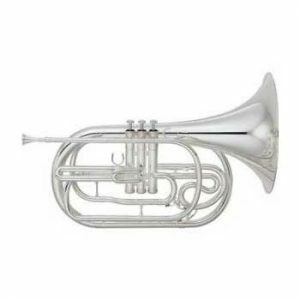 On the other hand our flipper model is adjustable, comfortable and folds to the inside so that nothing extends outside the horn, and it´s harmonious with the aesthetics of the horn. Our comfortable fingerhook fits 95% of the hands and is so constructed that it gives way before the bell would be damaged. If you notify us of an unusual hand size when odering, the finger hook will always fit.